Outside dimensions: 27.5 Inches wide and 39.5 Inches tall. 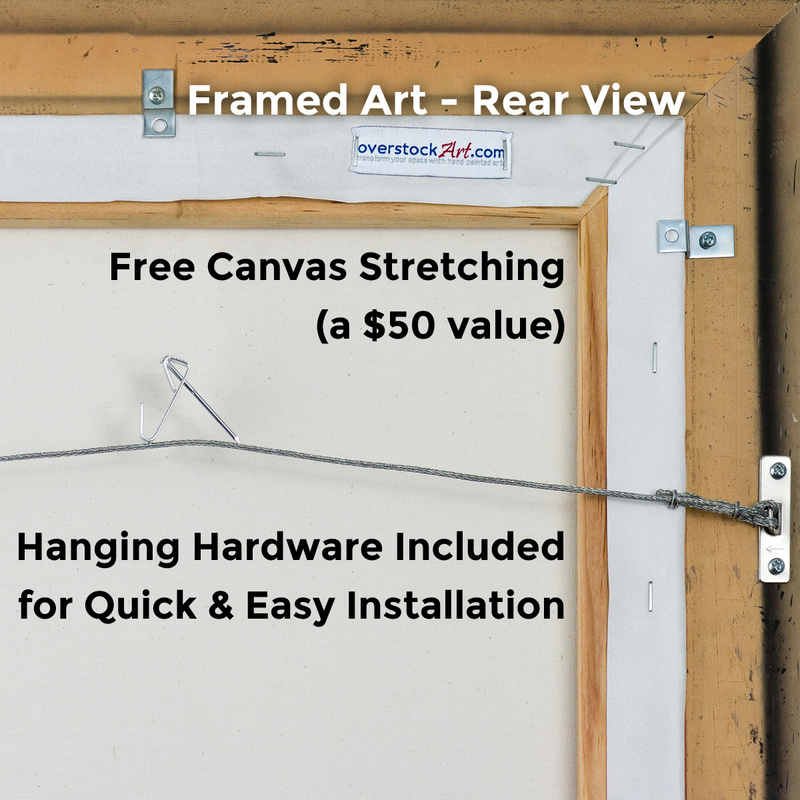 The painted canvas is: 24 Inches wide and 36 Inches tall. Hiroshige is widely considered to be the last great artist to work in the Japanese tradition of ukiyo-e. This stunning snow scene was just one image in his series "Famous Views of the Sixty-odd Provinces", which broke new ground by using a vertical format for landscapes. Each woodblock print portrayed one of Japan's distinctly beautiful provinces, covering a wide range of terrains, wildlife, and lifestyles. Originally published in 1853, this series and others by Hiroshige proved influential around the world. Vincent van Gogh owned and painted copies of several of Hiroshige's works. Now you can transform your space with this hand-painted reproduction, carefully created using only the finest materials. 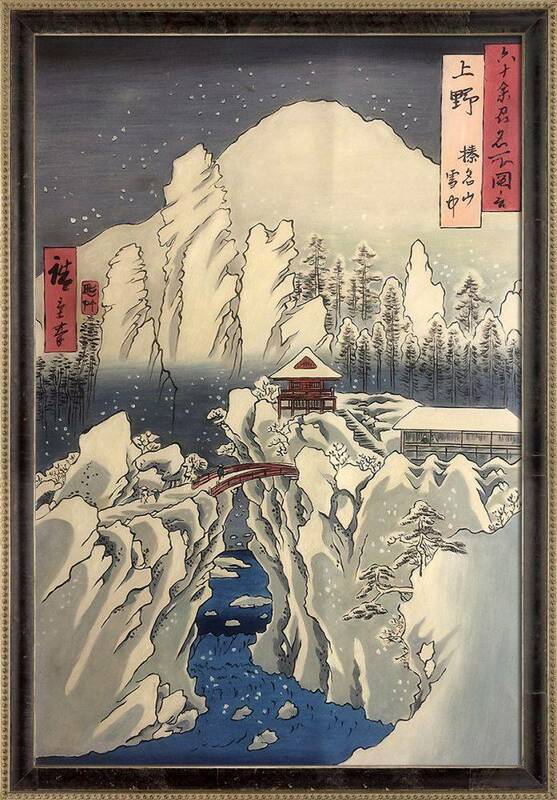 Color Palette for Kozuke Province: Mount Haruna Under Snow Pre-Framed is empty.